Posted in: Auckland, Brisbane, Niall Clarke, WTA. Tagged: auckland, brisbane, maria sharapova, Shenzhen, Simona Halep, venus williams, wta. The opening week of the new WTA season has now concluded, and it didn’t disappoint. There were plenty of shocks, drama and quality tennis to fill the appetite of any fan of this great sport. Let’s take a look at what went on in week one. Maria Sharapova started her 2015 campaign in the perfect way by claiming the Brisbane title. The Russian came from a set down to defeat number two seed Ana Ivanovic 6-7,6-3,6-3. Sharapova undeniably is one of the best fighters on tour, and Saturday’s final proved that to its fullest. Despite not playing her best, the 5 time Grand Slam champion managed to pull the victory out of the bag despite being a set down. How many times have we seen that before? The run up to the final was fairly easy for Sharapova, who didn’t drop more than four games in a match before her meeting with Ivanovic. Her title win in Brisbane continues her great streak of winning a title every year since 2003, an impressive stat indeed. Sharapova will go into the Australian Open in good form and confidence, where she’ll hope to win her 6th Grand Slam crown. Judging by her form this week, that could very well happen. It would be unfair to not mention the efforts of Ana Ivanovic, who did just as much as her opponent to make the final an entertaining and dramatic spectacle. The Serbian never gave up the fight, coming back from a break down to win the first set, and saving championship points before eventually losing the match. Despite the loss, the 2008 Roland Garros champion should be in good spirits heading into the Australian Open. The Serbian will be looking for a deep run in Melbourne, with the potential of going all the way. In the doubles, Martina Hingis and Sabine Lisicki defeated Caroline Garcia and Katarina Strebotnik 6-2,7-5 in the final. That’s their second title together. Simona Halep became the first player not named Li Na to win the Shenzhen open. The Romanian survived the early round scare by Annika Beck, and from then on looked ominous on her way to the title. Halep didn’t drop a set after losing the first in her opening round match, and didn’t face a break point in the final. The world number two defeated eighth seed Timea Bacsinszky 6-2,6-2 in just over an hour, despite feeling a bit sick in the build up to the match. Winning the Shenzhen title historically has had a good bearing on the Australian Open. Li Na made the final in 2013 after winning the inaugural event, and in 2014 the Chinese star went all the way after winning her second straight Shenzhen title. It bodes well for Simona Halep, who will go into the first grand slam of the year as one of the favourites. Runner up Timea Bacsinszky can be proud of her efforts in Shenzhen despite being completely outplayed in the final. The Swiss upset number two seed Petra Kvitova in the semi finals in straight sets, denying us a first seed vs second seed final. The 25 year old has been as high as 37 in the world rankings, and on the back of a good week here she’ll move up to number 38 in the world. Chances are Bacsinszky will achieve a career high ranking sooner rather than later. In the doubles, Ukrainian pair, Lyudmyla Kichenok and Nadiia Kichenok defeated China’s Liang Chen and Wang Yafan, 6–4, 7–6(8–6) to win the title. Many people are questioning whether 2015 will see the end of Venus Williams’ tennis career, but judging by the former world number one’s performances in Auckland, there is plenty of juice still left in the tank. Venus was dominant on the road to the final, not dropping a set and handing out enough bagels to set up a bakery. Her biggest challenge stood in the form of Caroline Wozniacki in the final. The first set saw Venus struggle with the conditions which meant she hit a lot of unforced errors. Wozniacki remained aggressive yet consistent to take it 6-2. The American picked her game up in the second, and Caro started to fade. The third was the closest set of the lot, but The American stayed strong on serve to take the match 2-6, 6-3, 6-3 and improved her head to head advantage over the Dane to 6-0. This was the perfect warm up for Melbourne for Venus Williams, who in this form will be a dark horse to go deep in the competition. Caroline Wozniacki had a good run, but never really asserted any dominance during the week. She made many uncharacteristic mistakes in the final, and didn’t serve very well. The former world number one will have to improve her performance if she wants to go deep in Melbourne. Wozniacki will look to use the Sydney tournament to build up some better form for the Australian Open. Overall, a good first week of the season. Halep and Sharapova began their quest for the year end number one spot, whilst Venus showed she isn’t finished just yet. Let’s see what Sydney and Hobart bring as the Australian Open build up continues. Posted in: ATP, Auckland. Tagged: 2014, atp, auckland, festival of tennis, heineken, John Isner, new zealand, nz, picks, predictions, preview. The final ATP tournaments before the AO are 250s on hard courts in Sydney and Auckland. Here is your Auckland analysis. There’s also the major Kooyong Classic exhibition going on next week, which attracts many top players. and the seed cutoff at 43. This is a good field for a 250. Four time champion and champion for three years straight in Auckland, David Ferrer will open with Federico Delbonis or a qualifier. Ferrer was surprisingly dispatched by Daniel Brands in Doha round 2, and we will have to see what his form is like. His string of odd losses to much lower ranked players seems to be a pattern now rather than a one-off deal. Santiago Giraldo/Albert Montanes/Guillermo Garcia-Lopez/Robin Haase await Ferrer in the quarters in what is a very easy draw. Kevin Anderson, who is making his 2014 debut, and is playing Auckland this year rather than Sydney (where he made the final last year), faces off with Marcos Baghdatis/Daniel Brands in round 2. Brands comes off quarters in Doha, and though he played horrendously in his last match, Anderson beat him in 4 sets at the 2013 US Open. In the quarterfinals, it will be a qualifier/lucky loser or Rendy Lu/Igor Sijsling, as Doha finalist Gael Monfils withdrew with fatigue and won’t be participating this year. This wide open section probably most favors Sijsling to make the semis, and opens the draw up for Anderson. Tommy Haas will face Jack Sock or Adrian Mannarino in round 2. Haas is another player making his 2014 debut and looking for a solid season. The veteran German will get one of Benoit Paire/Roberto Bautista Agut/qualifier/Michal Przysiezny in the quarters. RBA was roughly defeated in the first round of Chennai, while Paire made the quarters. 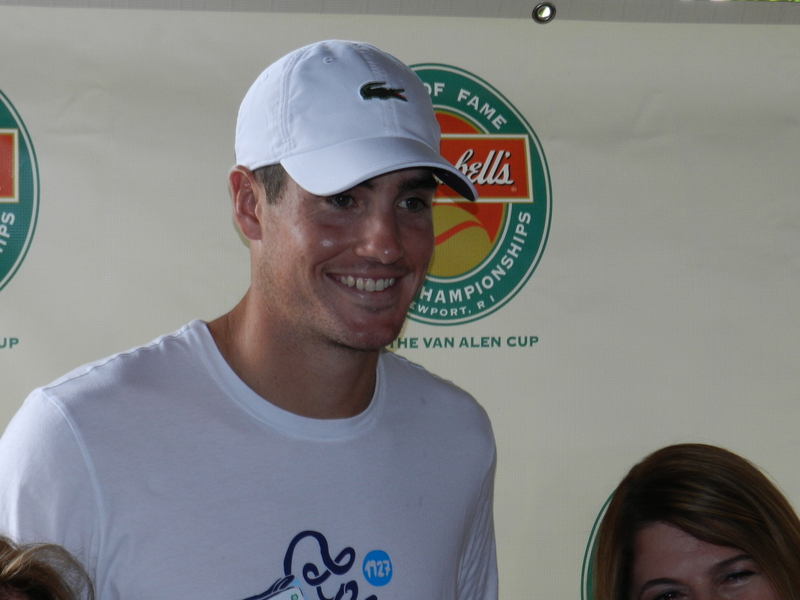 John Isner will make his ATP debut in 2014 against a qualifier or Jose Statham before likely meeting up with Philipp Kohlschreiber in the quarters. Kohli has a good history of success in Auckland. 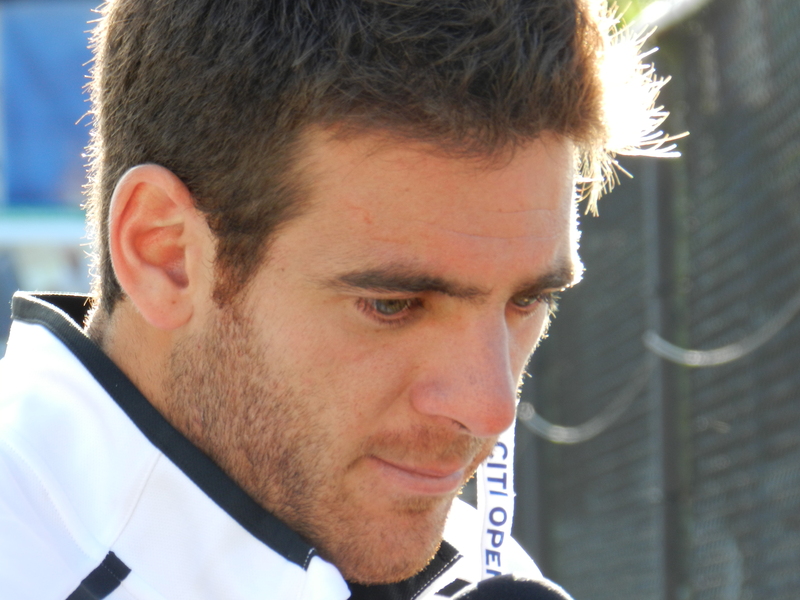 He was upset early in Doha with Pablo Carreno Busta and Filippo Volandri/Horacio Zeballos as his first two matches. Only a truly poor quality level of play would keep him from these quarterfinals. PCB was upset early in Chennai, while Volandri/Zeballos are terrible on hard courts as a general rule. 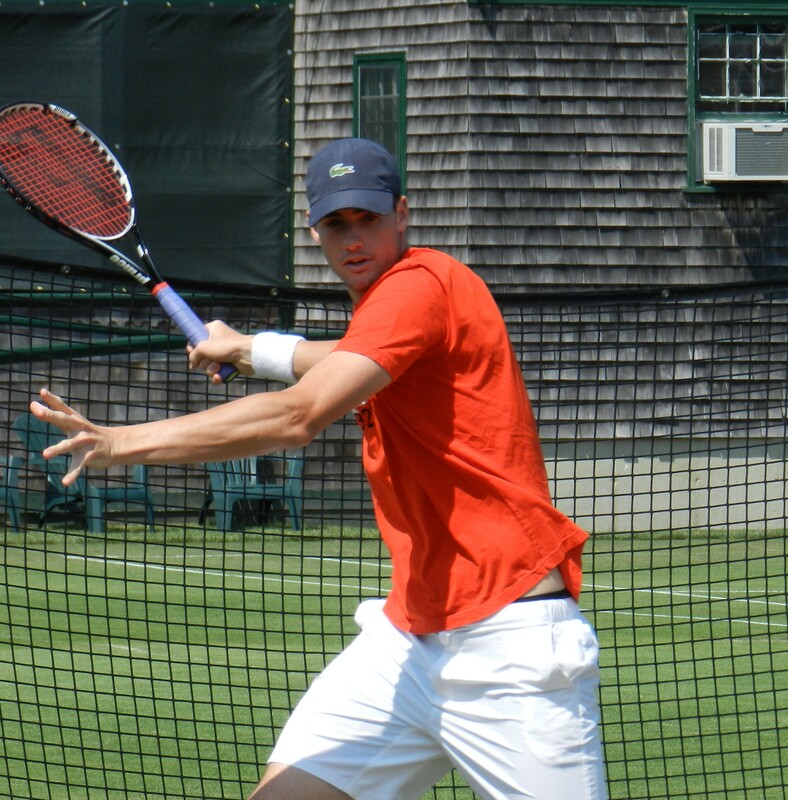 Isner partially pulled out of the Hopman with a leg injury. Injury issues have often plagued him in Australia, but I think he will be recovered in time to do well. 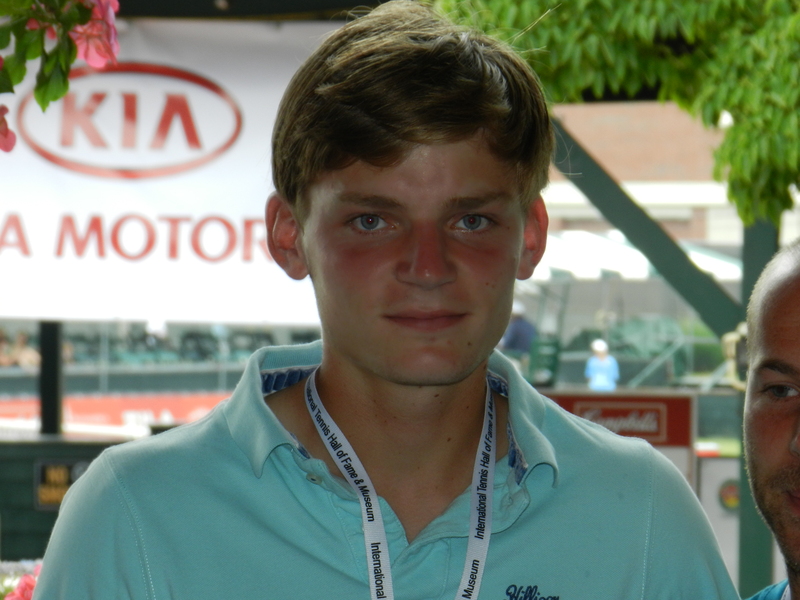 Brands is a solid hard court player who seems to have established himself as an ATP regular at this point. With the out of form Marcos Baghdatis up first, and an underdog chance against Kevin Anderson, he could find himself in the quarters against a relatively easy opponent, most likely Igor Sijsling, giving him a shot at the semis against David Ferrer, who he just beat in Doha. Anderson and Ferrer have an interesting h2h record, as they have beaten each other one time each on hard courts, and their last hard court meeting at Indian Wells in 2013 went 3 sets with Anderson prevailing (Ferrer won in straights at the 2012 US Open). The form of both is in question but Ferrer has such strong history in Auckland, so I’ll pick him to prevail. Isner and Haas have a close h2h record, but I’ll go with big John to get it done. Ferrer is 4-1 career against Isner and 3-0 career on an outdoor hard court, but their last outdoor hard court meeting was in 2009, and Ferrer I’m not sure is in good enough form to capitalize and win another Auckland title, thus I will go with Isner in a close match.